It’s day 12 of my 22-day vegan challenge! If you want to find out more about Marco Borges’ 22-Day Revolution, and begin with day zero, click here! 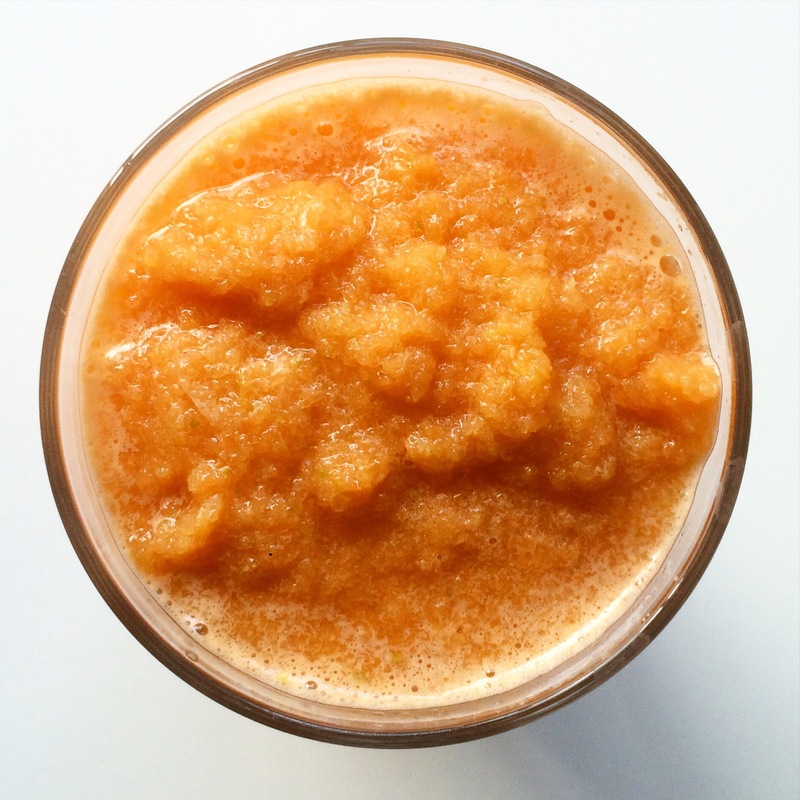 Day 12 began with a big serving of Extra C Juice, packed with orange, carrots, celery, lemon and ginger. It was thick and a little bit bitter thanks to the celery and ginger, but I really enjoy starting the day with so many fruit and veg! Two huge glasses came in at 163 calories. This was my second time around for the vegan pizza, and I used a leftover crust that I had made before. If you want to do the same thing, you can form the base, bake it in the oven, and then freeze it right before you add the toppings. Don’t worry too much about cracks as the toppings aren’t runny at all! 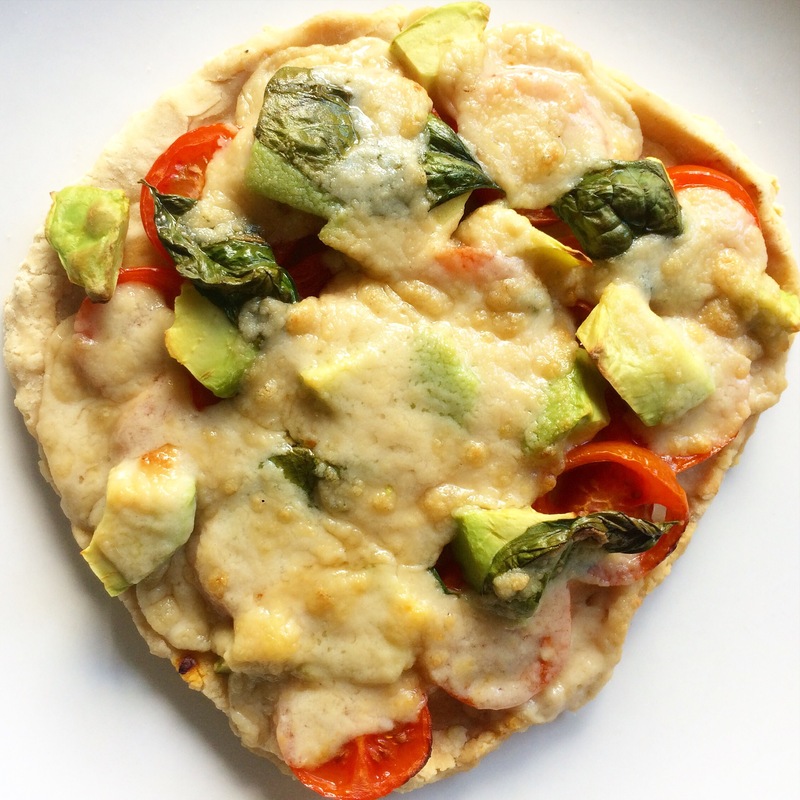 This time around I used Redwood Cheezly Mozzarella cheese, which is vegan – it ended up tasting almost exactly the same as the cashew cheese from the recipe book, but it was nice to give it a try! This came in at 537 calories. 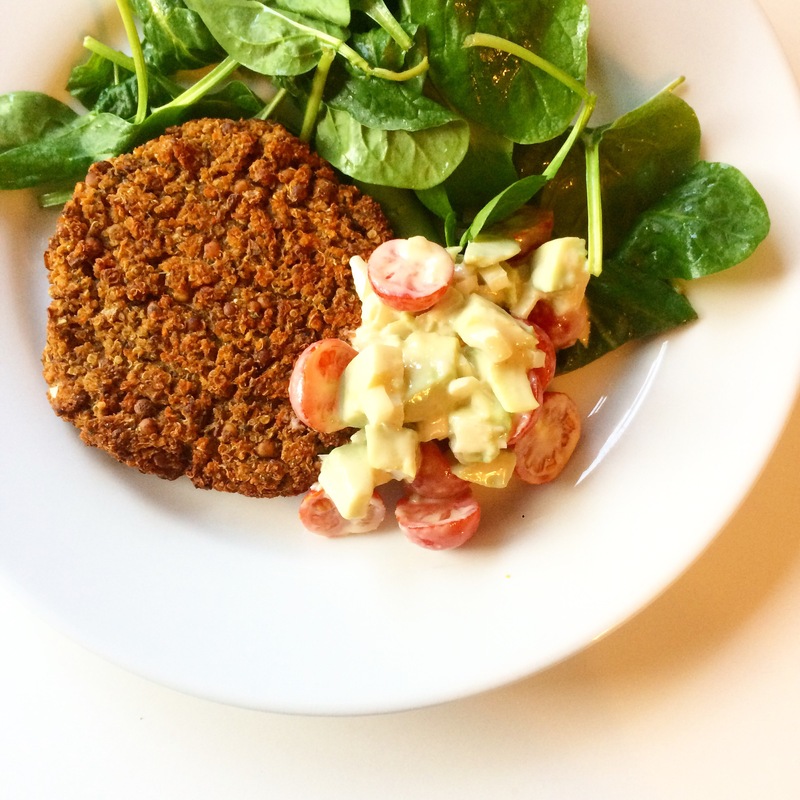 Day 12’s dinner was lentil burgers – a mix of cooked black (I had to use brown!) lentils, cooked quinoa, carrots, onion, lemon juice, arrowroot flour (I had to use cornflour – so, not gluten-free! ), chickpea flour, cumin, coriander, parsley flakes, garlic powder and salt. Because of the chickpea flour I suddenly had a massive craving for falafels, so I added more cumin and some fresh coriander. There’s a sneaky addition to this ingredients list, because you also need avocado, tomato, lettuce, bread, tahini and lemon juice. (Watch out for that and make sure you read all the recipes through from beginning to end!) These burgers are huge, and the batch makes six, so I had one and froze the rest. Verdict? Delicious! 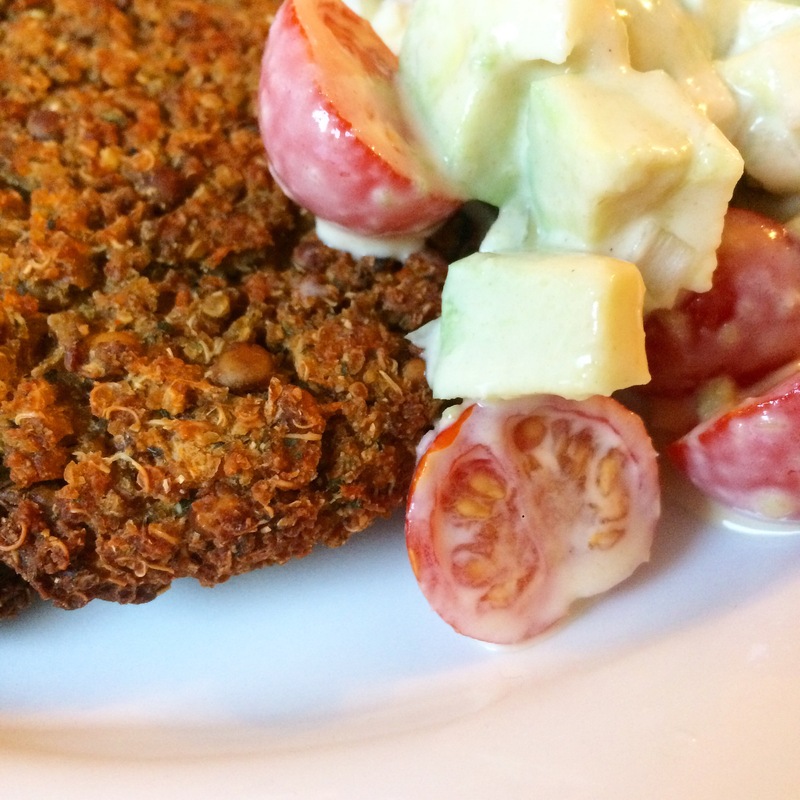 The outer coating is super crispy, and the tahini-dressed veggies were very tasty with it. I didn’t bother having bread with it, because to be honest, I didn’t think it would have added anything to the dish. I also had some baby spinach on the side. Calories for this was 423. Total calories for the day: 1336. I couldn’t resist stealing some of my friend’s candyfloss, then after going on the exercise bike for 45 minutes I had a midnight snack attack and stole some granola and cranberries from the kitchen. Those snacks really add up! In other news, I lost another pound today!